Delighted Hands: The Frog's Last Leap! 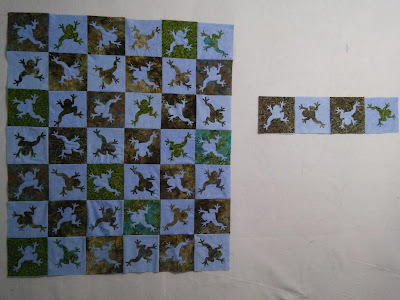 Later in the day, I worked on the final row of the frog applique quilt! but stuck it out and finished them as planned! Now I am truly over the frog fingers ! it is an amazing pop of color in the pool area! the frog fingers might have been a pain, but the result is lovely! will you do a dragon fly in the quilting? or some other insect? and your flower is very beautiful - my plant from last year hasn't survived the winter (inside! ), if there's still not even a peek of growth I'd say I can throw it away:( well, can't win them all, at least all my begonias survived, despite being in the polytunnel and prob. getting a light frost! That's a lot of fingers!!! That plant is just gorgeous. What a brilliant color. 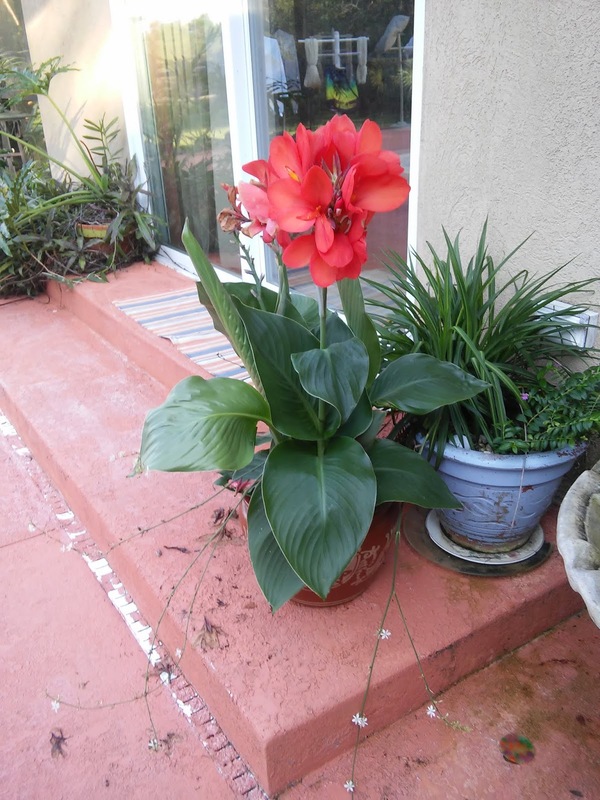 The canna lily is beautiful! The lily is gorgeous and must be very happy in its location. Dee's comment made me giggle, and I may have to "borrow" her phrase. I'm going to use Dee's phrase too!! LOL Gorgeous quilt. Gorgeous bloom too. 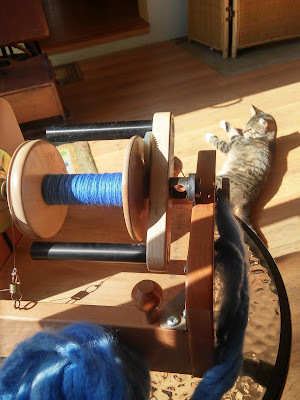 Love the blue of the spun yarn. Happy kitty! You are a saint, I would have just chopped their fingers off. Voilá, no fingers to appliqué! Love that yarn you are spinning, and Lena is elegant as ever. I adore those frogs, but I can definitely see them being a pain! I once knit toes on a gecko toy and it was a nightmare! 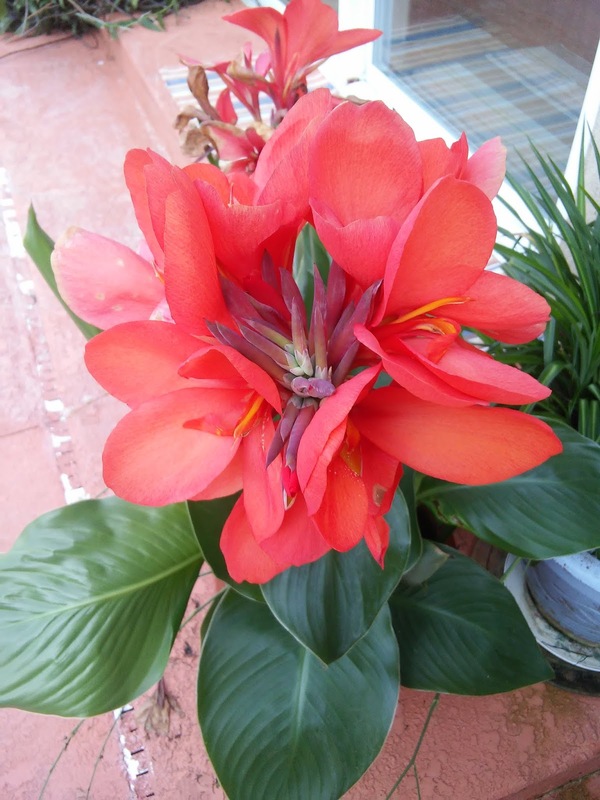 I love you Canna lilies but the make me a little sad. The last thing my grandpa gave me before he died was some cana bulbs from his garden, but the squirrels stole them all on me. That lily is just amazing — who would have thought?! Don’t think I would have lasted through that many frog fingers!